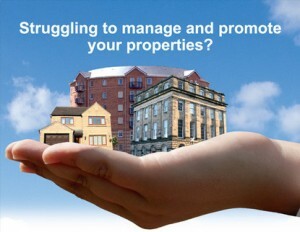 One of the most successful services we provide is Property Management. As an attorney-run brokerage, we are able to provide you with top-notch service and give you an advantage in negotiations and transaction solutions. We utilize the latest technology and software in our management services, and are certified as Property Managers by the California Bureau of Real Estate. We pull from our extensive network of handy-men, contractors and technicians and can offer our clients a range of services to suit their needs. TruLine offers competitive rates and works with landlords looking for management of a single unit to multi-unit residential and commercial properties. TruLine provides landlords with peace of mind to allow them to reap the benefits of their investments without having to deal with the everyday responsibilities of property ownership. Expert Marketing and Leasing of your property ensures that vacancies are filled quickly. Your rental will be advertised to the widest audience possible on rental listing websites and the MLS. Tenant Screening process using credit and background reports and references qualifies your rental applicants to ensure your tenants are the right fit for your property and that you get paid on time. Maintenance is performed by our own affiliated handymen and licensed contractors or independent contractors provide you, your property, and your tenants with reliable and high quality work quickly and at reasonable prices. Rent Collection is taken seriously and our managers diligently review your accounts to make sure it is collected on time. We will work to pursue any late payments and make sure any applicable late fees are collected and credited to you as quickly as possible. Our managers also review the terms of your lease to ensure that any fees, increases, and other credits are applied as necessary. Accounting and Reporting is performed using state-of-the-art software that is capable of providing you with the detailed reports to track income and expenses and facilitate tax reporting. Easy Payment System based on your preferences. You can easily have your proceeds directly deposited in to your account each month or sent to you directly. Online Landlord Portal allows you to quickly access your property accounts to view accounting ledgers, send email alerts, submit maintence requests, run your own on-demand property reports, and review important documents including leases and move-in and move-out reports. Online Tenant Portal allows tenants to apply online, pay their rent and fees online, see their payment history, submit repair and maintenance requests, and review important documents including leases and move-in and move-out reports. Unlawful Detainer Services provide you with peace of mind to ensure that your tenants are paying on time, adhering to the terms of the lease, and that they are not holding over once their lease is up.